“Enjoy Medieval atmospheres, the Borgias Castle, delicious food and wine, and get goosebumps in the most scenografic museum in Italy!" An exciting tour in the southern roman countryside where you will be able to see a wonderful medieval village, roman castles, taste local specialties in the beautiful rome countryside and visit towns close to rome, the incredible museum of Piana delle Orme, which shows reconstructions of the WW2 battles of Cassino and Anzio with lots of original and still functioning tanks, landing crafts and jeeps. "Experience the luxurious lifestyle of the Cardinal, breathtaking fountains and the Pope’s summer residence." A private tour just outside Rome. Explore the gardens and the incredible fountains of Villa d’Este, discover volcanic lakes, forts, characteristic villages and the summer residence of the Pope. Enjoy the great local food and wine. “An easy gateway from Rome, charismatic towns, lakes, great food and good wine." Experience with your driver the natural beauty of this area close to Rome. Discover medieval lively villages, an abbey inside the walls of a fortress, volcanic lakes and the exclusive Summer Residence of the Pope. Enjoy the culinary art of the characteristic “inns” and try the local “Castelli Romani” wine. “Experience a town frozen in time and indulge in the world’s most beautiful coastline." Day trips from Rome with the best Italy tour companies for private small group tours by locals. A Pompeii and Amalfi Coast day trip from rome to dive into the history within the ruins and be overwhelmed by breathtaking views and the liveliness of the villages on the Amalfi Coast. Are you looking for a day trip from rome to Pompeii ? Have a look at our day trips from rome: book now your tripadvisor amalfi coast tour with one of the best tour companies in Italy, trust on Top Tour of Italy and enjoy your private best tour in Italy. “Experience a town frozen in time. The best preserved archeological site in the world." 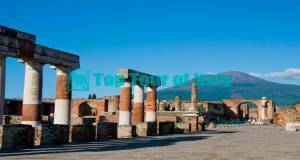 Are you looking for a pompeii day trip from rome guided by the best Italy tour companies ? You're in the right place! Our Pompeii Tours from Rome are the best day trips from Rome in deluxe air-conditioned limo vehicles:CONTACT US and don't forget, you can always personalize! Book now your private small group tours by locals with Top Tour of Italy and enjoy your private best tour in Italy. “Enjoy the Pearls of the Medieval Times, the most beautiful square in Italy and the Manhattan of the past." A full day guided tour through Unesco world heritage sites of Italy. In the perfection of the Tuscan countryside you will find Italy’s most beautiful medieval city and village: Siena with a wonderful gothic cathedral and Italy’s best square and the magic S. Gimignano with his 17 high towers, used also as a scenery for the Assassin’s creed videogame. Get now your day trips from Rome with the best Italy tour companies for small groups private tours of Italy. “Experience the town Under the Tuscan Sun and give your soul serenity in Saint Francis hometown." 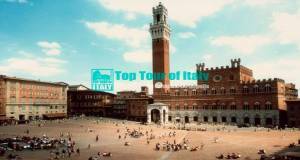 Day trips from Rome with the best Italy tour companies, get now your private tours of Italy. This day trip from rome to Assisi will fill your soul and mind. 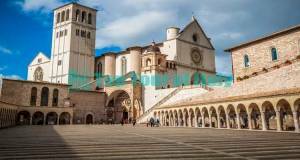 You will visit a wonderful medieval village and enter one of Italy’s most important cathedrals in Assisi, World’s Center of Peace and home of St. Francis, and you will see Cortona, the town where Under the Tuscan sun was filmed. "Created by Mother Nature and perfected by human art work and hard work." Day trips from Rome to Tuscany - A day trip from Rome to Orvieto and its wonderful cathedral dedicated to the miracle of the “Corpus Domini”, through the experience of the Vino Nobile di Montepulciano, to Pienza, the example of the 1400s “perfect city”, surrounded by the Orcia Valley, listed by Unesco as World Heritage. 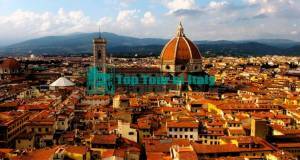 Are you looking for the best italy tours ? Book now the best day trips from Rome Italy and make your small group tours of Italy one of a kind, touring Italy with our drivers. Personalize your private guided tours of Italy choosing daily trips, or spending several days with us for an amazing grand tour of Italy. Discover some Italy's treasures touring with us with the best tour of Italy. Top Tour of Italy is one of the best Italy tour companies for private rome tours & best tour of Italy and provide the best customized private small group tours of Italy, our local drivers are very knowledgeable, speak perfect English and drive the latest fully equipped Mercedes Benz vehicles. taking you where those big tour buses can’t. Get your private tour of rome in a limo now, visit Rome in a day with our expert english speaking Top Tour of Italy drivers, reserve now your private rome day tours in deluxe air-conditioned limo vehicles taking you where those big tour buses can’t. best tours of Italy 2019. Want more info on Best Rome Tours or you want to create a tailor-made tour? Don't waste your time, Call now +39 3930655978 or CONTACT US. If you still hesitate, have a look at our best rome tours trip advisor reviews. * Our prices are per vehicle, not per person, are expressed in euros and include tolls, parking, fuel and luggage handling. make your trip memories unrivaled! Do you want to create a private tailor-made tour and/or need to change just one particular aspect? No problem! Please contact us and our staff will be happy to accommodate you. See our private tours of Rome, Trip advisor vatican rome tours in Italy & Amalfi coast reviews on tripadvisor, book now your best tour of Italy. Top Tour of Italy | P.Iva: 02760260592 - Strada del Passo 1354 .Latina - LT © 2014-2017. All rights reserved.